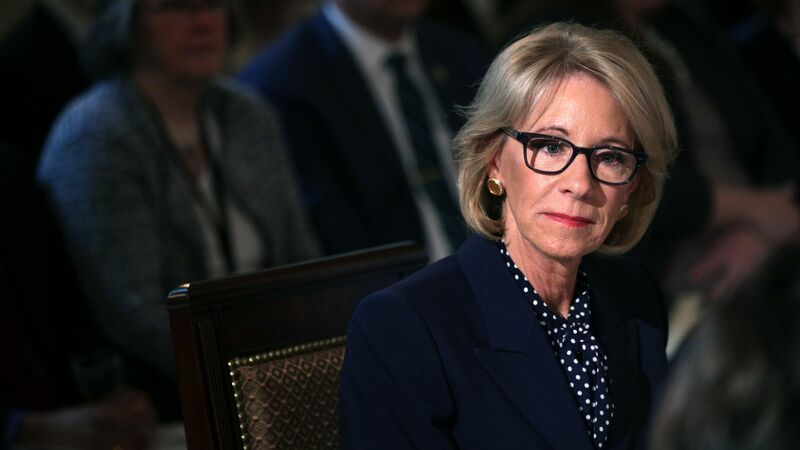 Education Secretary Betsy DeVos on Tuesday at a House hearing gave a staunch defense of her request to slash billions of dollars from her agency’s budget, including nearly $18 million in cuts from the Special Olympics designed to help children and adults with physical and intellectual disabilities. "Let me just say again, we had to make some difficult decisions with this budget." — DeVos said in response to a question about the proposal. Details: DeVos, who told lawmakers that she doesn't know how children would be impacted, later added: "I think the Special Olympics is an awesome organization, one that is well supported by the philanthropic sector as well." According to Rep. Mark Pocan (D-Wis.), who pressed her about the budget cuts, 272,000 children will be affected should Congress approve the proposal. DeVos' proposal is part of the Trump administration's new proposed spending plan for the 2020 fiscal year. Per the Washington Post, the administration is seeking to to cut more than $8.5 billion from the Education Department’s budget.